Measles, Mumps And Rubella Vaccine Does Not Cause Autism, New Study Shows : Shots - Health News A study of more than 600,000 Danish children finds no evidence of any link between autism and the vaccine that protects against mumps, measles and rubella. "The study strongly supports that MMR vaccination does not increase the risk for autism," the authors write in the Annals of Internal Medicine. "We believe our results offer reassurance and provide reliable data." The study's first author, epidemiologist Anders Hviid of the Staten Serum Institute in Copenhagen, added in an email: "MMR does not cause autism." "The idea that vaccines cause autism is still around despite our original and other well-conducted studies," Hviid wrote in an email. "Parents still encounter these claims on social media, by politicians, by celebrities, etc." "We felt that it was time to revisit the link in a larger cohort with more follow-up which also allowed for more comprehensive analyses of different claims such as the idea that MMR causes autism in susceptible children," he added. "Physicians should do what they do best. They should follow the emerging evidence – including that in vaccine communication science – and use it in their interactions with their patients and as public health advocates," Omer wrote in an email. 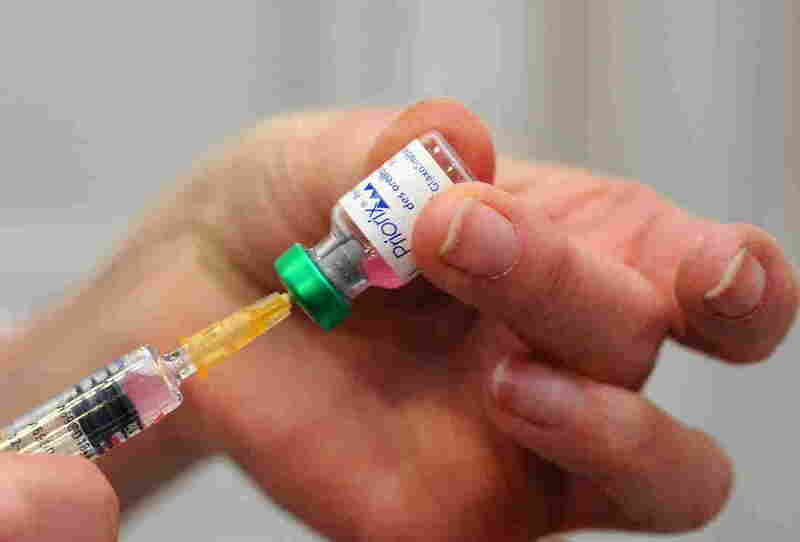 "Parents should not avoid vaccinating their children for fear of autism," Hviid wrote.